As we put the covers on the F1 AGP until next year, I’m remembering attending an event of the same name back in November 1980, although one of a much more humble status. The final round of the Australian F5000 series was due to be conducted on the 1.6 mile Calder Park circuit, and circuit owner Bob Jane decided to go all out and call it the Australian Grand Prix; make it an ‘open’ event; inviting participation from international teams (meaning – Formula One). 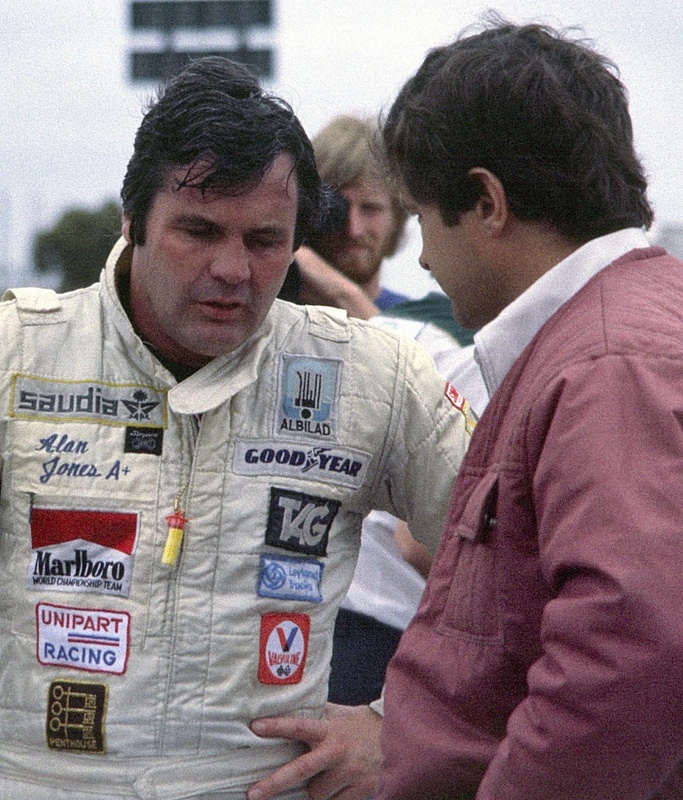 Bob convinced 1980 F1 World Champion Alan Jones to participate (although it didn't take much convincing for the patriotic AJ to come home for the event). Then Alan duly encouraged Frank Williams to fly an FW07B to Australia for the event. Our dear friends at Alfa Romeo Australia also took the bait, and flew out Bruno Giacomelli and an Alfa Romeo 179. Didier Pironi also turned up, to drive a local Elfin MR8C F5000 car. I was pretty good friends with Bob Jane, and he asked me if my company (Leyland Australia) would tip in some dollars, which we did, under the generic ‘Unipart’ parts branding. Bob also cajoled the Publisher of Australian Penthouse, Mark Day, to cough up some cash, so the Williams was quickly rebranded. A few nights before the race, Penthouse hosted a dinner for fellow sponsors, and some journalists at a noisy Greek restaurant in St. Kilda, and introduced the 1980 Penthouse Pet of the Year, the lovely Tracey Wallace. Tracey was not only beautiful, but smart as well, and had a great sense of humour. She clearly understood the path to stardom was littered with false promises, and it was very obvious she knew that she was window-dressing, so to speak, but handled herself with maturity and aplomb. The AGP at Calder was a runaway win for AJ, he lapped the field a couple of times, as the ground-effects Williams not only had the legs, but also dynamic cornering ability to literally run away from the rest of the field. Giacomelli managed second; and Pironi finished third, four laps in arrears. Pretty easy money if you ask me. 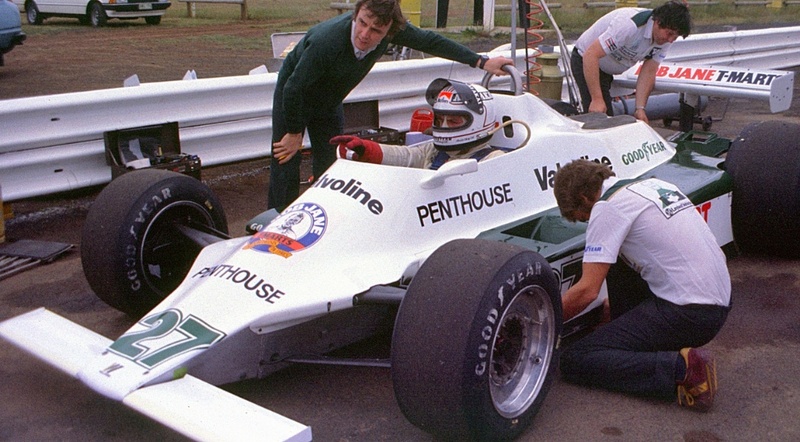 95 arm-twisting laps around a tiny circuit, in an hour and a quarter, and then AJ was off to dinner with Bob Jane, and all AJ’s Melbourne mates; then he was back to Britain on Monday afternoon to get ready for the 1981 F1 season. I got the best end of the deal. After a week of ‘managing’ the F1 world champion, which was not without tears, I got to relax over a very nice dinner at Florentino’s in Bourke Street with the Penthouse team (seated alongside Tracey Wallace), and managed to put the 1980 AGP behind me, with no trouble at all.